Our next Pop Up Sewing Day will be held at Patchwork Plus Miranda on Thursday 19th May 2016 from 10am. Lorraine Downey is the owner of this well established quilt shop and she has kindly offered to host this Pop Up Sewing Day. 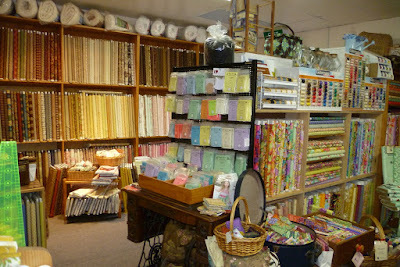 The shop has a wide variety of fabrics including reproduction, batiks, orientals, and brights. Those who love to paper piece are also catered to with a variety of shapes in quality paper to choose from. Come along and have some fun with like minded quilters and investigate all that Lorraine has to offer in her well stocked quilting shop. Located across the road from Westfield car park on the corner of Jackson Ave and Urunga Pde.